Bandung is your one-stop destination for culinary, culture, shopping and nature. 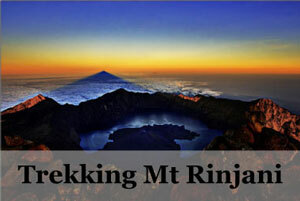 Your trip will definitely tickle your every sense with Bandung’s diverse tourist attractions and things to do. Culinary wise, you will find unique cafes in every corner and delicious local food everywhere. Culture-wise, there are the Lawangwangi art space performances while shopping wise, you will be spoilt for choices with its many factory outlets and boutiques. 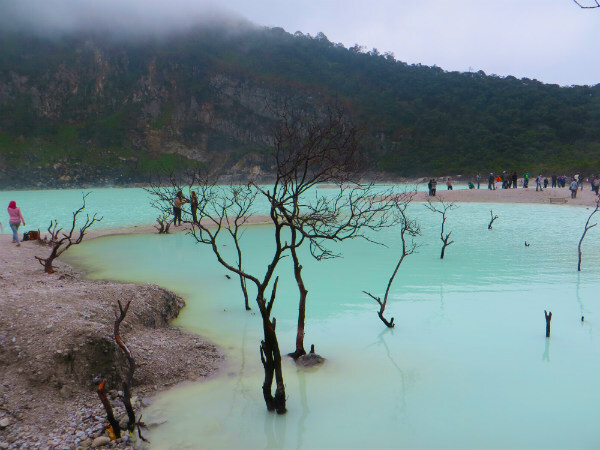 To top it off, get around Bandung for excursions to famous places like the Kawah Putih Crater or chill by Situ Patenggang lake or look up the legend of Tangkuban Perahu. 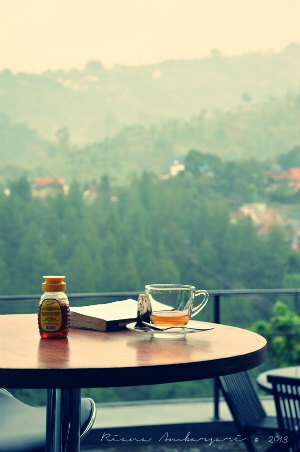 Read on for our Bandung Trip 3 days itinerary plan that will help you to maximise your visit here! 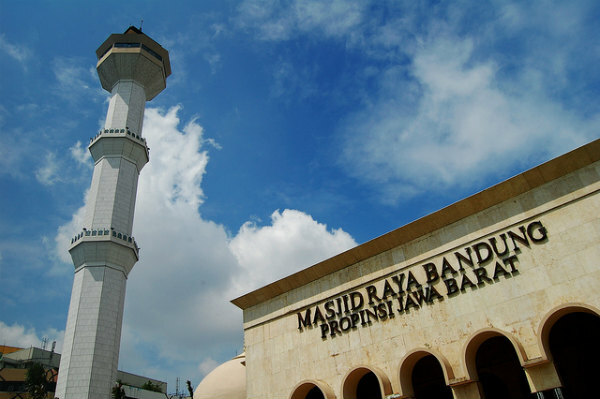 Bandung is really quite a vibrant city and is considered a hub for retail and culinary tourism. Jalan Setiabudi, Jalan Cihampelas, and Jalan Riau are a couple of very popular areas where you’ll find the streets fill with shopping and eating opportunities! Start the morning with a trip to Rumah Mode on Jalan Setiabudi (to beat the afternoon crowds!). This factory outlet bursts at the seams with all things retail. 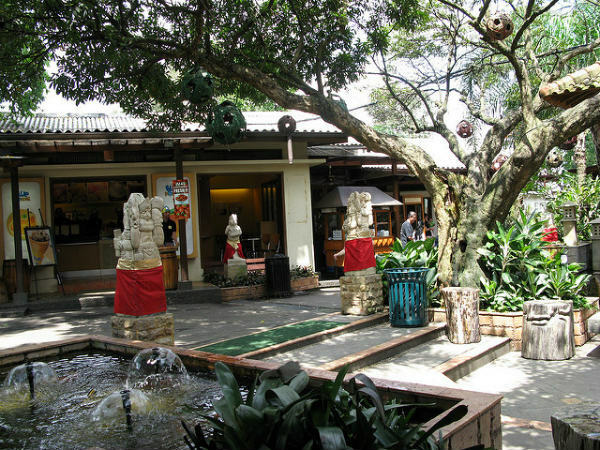 They also have a few eateries where you can taste local treats such as Batagor, Nasi Timbel, and Martabak, set around beautiful garden settings. 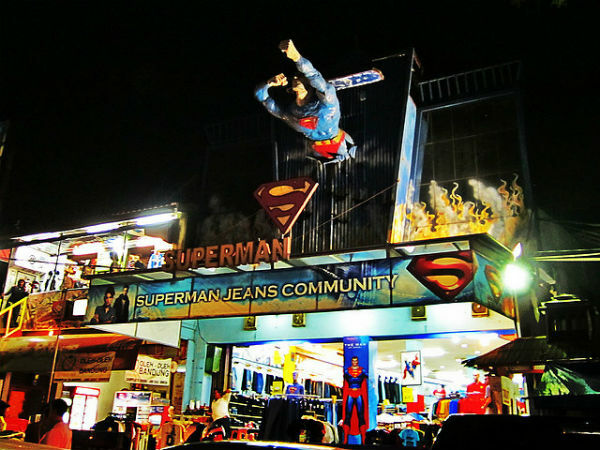 Midday head down to Jalan Cihampelas, popularly known as ‘Jeans Street’ due to the huge amount of denim sellers there. This is also a busy street with a notable lack of walking areas – so take care when moving from shop to shop! What makes this street stand out are the large cartoon statues that head some of the shops. You’ll find Rambo, Spiderman, Aladdin, Hercules, Superman, to name just a few! This street isn’t the cleanest or most organized, but it’s worth a visit if only just to see it’s unique visual appeal. If Jeans Street tired you out, which it most certainly will, you can pop into Ciwalk Mall for a bit of relaxation with more complete, organized shops and restaurants. It’s designed in a garden walk style which makes for pleasant strolling. Gokanna serves up traditional Indonesian and Sundanese (the local food in Bandung) dishes, or there are western favourites such as Soho, Raffles, and Pizza Hut among others. 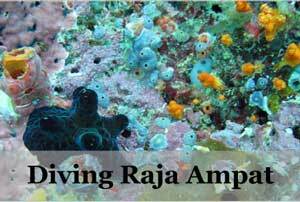 After a bit of rest, Jalan Riau calls for more shopping and an abundance of delectable cafes and restaurants. Two favourite factory outlets here are The Secret Factory Outlet and Heritage Factory Outlet. They’re both comfortable, complete, and reasonably cheap. Heritage is set in one of the old Dutch buildings that have been refurbished to suit modern Bandung, and there’s quite a good restaurant next door called Dakken Coffee and Steak, also in a refurbished colonial building. They serve tasty local and western food, recommended! Otherwise, there’s a lovely café around the corner on Jalan Progo called Hummingbird Eatery, which also has a decadent selection of cakes and cookies! If you don’t fancy settling in for dinner here around Riau, there’s a nice restaurant not too far away called Atmosphere Resort Café that has a stunning traditional décor and delectable menu. With shopping and eating thoroughly explored in the city, it’s time to find some nature! Head to the south Ciwidey hills in the morning. You’ll find the temperatures drop and the natural scenery takes over. Kawah Putih Crater Lake is quite a beautiful sight! The enchanting turquoise crater, ghostly bare trees, grey hills and white mist make it a rather stunning spot for budding photographers and selfie-takers. Make sure you wear a mask or cover your nose and mouth as breathing in sulfur fumes can be uncomfortable. 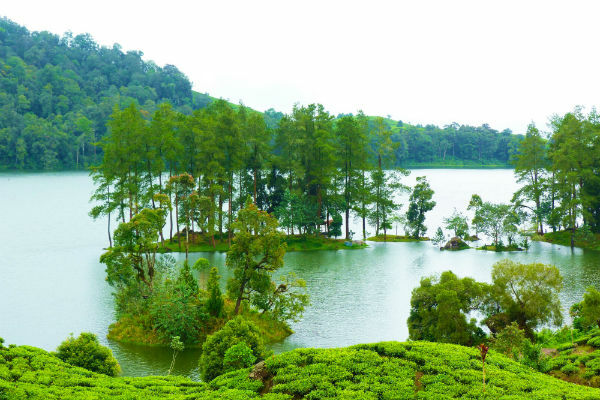 Nearby, you’ll find lushly green tea plantations such as Rancabali that will also take your breath away! They cover rather large areas, so crowds aren’t a worry and peaceful moments are enough for everyone. There are a few places that have thermal hot pools too, but they’re usually full of local families and can get really crowded. Stop by Situ Patenggang lake and prepare to witness yet another sight for sore eyes. 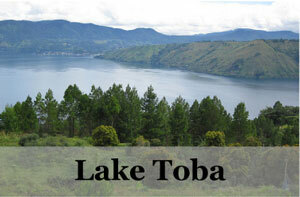 Take a small boat ride to Batu Cinta and hear the old story about this ‘Love Rock’ in the middle of the lake. This is a really picturesque lake so make sure you have your camera ready! No doubt you’ll be doing a lot of snacking on local treats around Ciwidey, but for a late lunch, there are some good traditional restaurants. Saung Gawir comes recommended, as does Sidang Reret, both boast delicious local cuisines and stunning natural scenery. 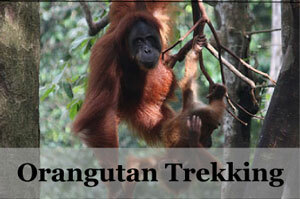 They are located on the main road from which you come and go from Ciwidey area. 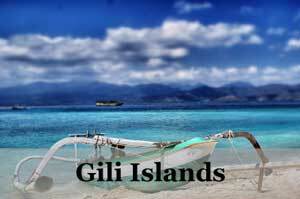 In the evening, you might find yourself tired from the hectic traffic getting to and from Ciwidey. So it might be a nice idea to chill at your hotel or take an evening stroll along Jalan Braga, possibly the most unique and well-known heritage streets in Bandung that still holds it’s colonial style architecture. Here you’ll find cafes, restaurants, art shops and even a mall (Braga City Walk). On the southern corner sits Gedung Merdeka which houses the Asian-African Conference Museum that was first held in 1955, and its 60th-anniversary conference was held just recently in 2015. Masjid Raya Bandung is just around the corner in Alun-Alun. The most noteworthy mosque in the city is open to the public on Saturday and Monday. It should also be said that most shops on Jalan Braga are closed on Sundays, so a visit to this area would be best on Saturday (though very busy), or Monday. Today can be a relaxing and unwinding mix of nature, art, and food. 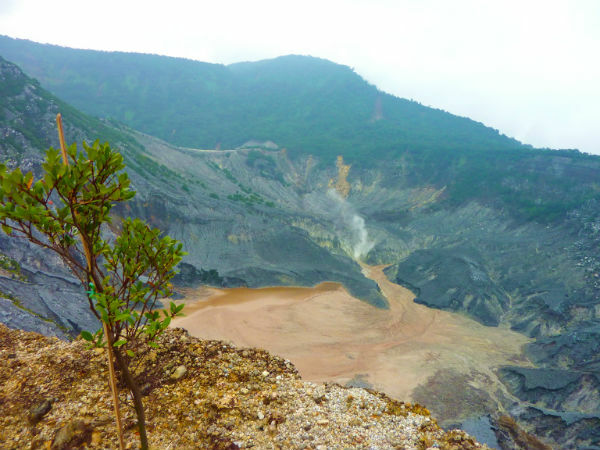 30km to the north of Bandung lies a stratovolcano crater called Tangkuban Perahu (meaning: ‘up-turned boat’) which has an interesting local legend about love and tragedy that can be told by locals there, just ask! There are three main craters: Kawah Ratu, Kawah Domas, and Kawah Upas. The atmosphere is friendly and very local, with souvenirs, snacks, and plenty of photo opportunities. It gets pretty chilly up there so be sure to bring a jacket and scarf. Or you can buy colourful scarves and gloves on the site! Also in the north, there are a few villas and resorts like Gracia Resort and Spa * (75,000 IDR entrance) and Ciater Hot Springs (40,000 IDR entrance) which have hot spring pools and nice restaurants. Spend a night here to experience the cool temperatures and steamy springs, and sample local delicacies in any of the cosy restaurants. Really, quite a treat! Again, the temperatures are comfortably neutral during the day but can get rather cold once night falls. While you’re in the area, visit an art gallery and restaurant. One popular gallery is called Lawangwangi Art Space. They have alternate exhibitions monthly with both local and international artists, a café, event rooms, garden, and photogenic balcony with a beautiful view of Bandung. Another famous gallery is called Selasar which has similar features but specializes in delicious Indian dishes among other Indonesian and western flavors. Selasar tends to be a lot quieter and calmer in the atmosphere than the ever-popular Lawangwangi. Tam has lived in Bandung and traveled Indonesia for more than 6 years. 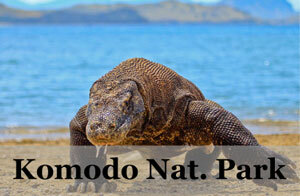 Agoda.com is a great choice because they have the most extensive hotel listings in Asia with great deals. Booking.com * is a favourite of many because it offers cancellation allowing flexibility. For those who enjoy nature and tranquillity, this hotel is surrounded by greeneries and mountain breeze. Highly recommended for luxury seekers. This deluxe hotel comes with a stunning pool area, impressive outdoor dining and a variety of free activities to choose from. For those seeking luxury in a good location, this hotel is attached to a major mall. The skyline views from the rooms will make you want to stay in! The interior is extravagant yet comfortable. It is also a favourite of family, as there are clubs and sand area at the pool for the kids. For those looking for a well-known hotel with world class services and strong security. You will find all the usual luxury here, with impressive rooftop pool, featuring beautiful views of Tangkuban Perahu mountain. Also well located, it is only 5 minutes walk to the shopping center and 5 minutes drive to the airport. Book quickly as this hotel often sells out. Another safe and well known hotel for a mid-range budget. This hotel located quietly just off center of Bandung. With a grand design, it comes with impressive pools, sun terraces and a fitness center. Well-known name for its good budget hotels, this one in Bandung lives up to it. Value for money, this hotel comes with a rooftop pool, gym and spa. The spacious rooms come with a view to the beautiful Ciumbeuleuit area. 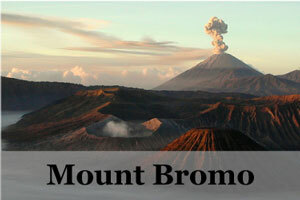 Located north of Bandung, it has easy access to Lembang area with many of Bandung’s must see places above. For those looking for an affordable hotel in the center of Bandung. Located strategically at the Riau Street, this stylishly designed hotel is spacious yet cozy. Guests love it here for the price, location, comfortable beds and good coffee.